References and informative resources are the key to identifying elements of historic photos. http://www.greatwarimages.com/ – The BEST place to find high quality WWI photography for sale on the web! http://www.pulpinternational.com/ – Pulp fiction fun! http://www.great-war-assoc.org/index.htm – Site dedicated to everything WWI! http://www.playle.com/realphoto/photoa.php – Good site for dating Real Photo Postcards, showing variations of stamp boxes to help date photos. http://www.historicphotoarchive.com/f2/kodachrome.html – Reference site for dating color slides and color negatives. I served with a Leon Gladding at Fort Sheridan in 1949 and again at Fort Devens in the 1950′ He could do a standing flip. Is this possibly the same Gladding. An outstanding soldier. I would like to hear anything else you have about him. Looks Like Leon D. Gladding Jr. passed away (crashed fighter jet) in 1957 and is buried in Arlington. His father was a major in the 104th Infantry Regiment during WWII and personally led an assault on a German bunker complex, knocking out the main gun and capturing the officer and 19 soldiers inside. Awesome Pierre, thanks so much for providing these resources to all of us interested in military history and photo memorabilia. Great layout for your blog. Good choice with the full width for your images. http://www.wc57.com It is a photograph resource guide to the Dodge WC-56,57 and 58 command car. It has over 200 WWII period photos depicting command cars in all theaters of war. Thanks for sending along this link. I’ve added it to the resource room page. Appreciate your comment – have a great day! I was looking for pictures of former Ambassador Philip Manhard over the internet and found some of his photos from your blog. You mentioned having purchased 5000 35-mm slides from him and gave them to a friend of his family. So where are the slides now? We are currently working on a documentary on the Chinese POWs during the Korean War. Philip was a political officer at US Consulate in Pusan during the war, and talked to many captured Chinese inside the POW camps in and around Pusan in the capacity of a correspondent. I am confident he must have taken a lot of pictures of either the Chinese captives and the camps. If you or I could find some of them in those 35mm slides, it would be a big help to us. Can you help me trace down those slides? Or at least you could give me the name and contact info of the person to whom you gave those slides? Can I count on your help? I will look through the slides to see what I can find. I do have MANY other slides from the Korean War that show Chinese POW’s. I would be more than happy to share these with you as well. Do you have a tight deadline? I have a photo of Company D, 8th Infantry that’s about 38 inches wide x about 8 inches tall from my husband’s grandfather. It’s in poor condition and wonder whether you have advice on preserving it. Thanks for your excellent site! Thanks for visiting my site. I have a good number of “yardlong” or panoramic photos from both WWI and WWII. Are you looking for advice on conserving it, or do you want to display it? I assume it’s rolled up? The best way to keep it in good condition is to keep it in a safe place. Store it in a relatively dry and stable place. A dark closet is the best place. Make sure it will remain at a relatively stable temperature. Keep it away from direct sunlight if you can. High humidity is bad. I have some negatives that are scratched and seems to be dry or something, it’s making a white layer on the negative, do you maybe have any advice on cleaning them and scanning them. I can’t find an acceptable way of scanning them. Thanks for finding my site and I’m glad you’re interested in digitizing your negative collection. Sounds like you have some issues with your cellulose nitrate film offgassing. Since I’m not a registered conservationist, I will attach a National Park Service (NPS) conservation brief that should give you some good tips on how to handle your negatives. Do you have a negative scanner? If not, I would suggest purchasing one or finding a local company who may be able to scan the negatives. Good luck and let me know how it goes! Glad to have found your site. We have a question? We have came a cross a photo panoramic photo. It says at the bottom of the photo it says the following “A Grateful Nation Thanks The heroic 1st Division 26th Inf. At US Capital Washington D.C. Sept 17, 1919” Any help would be appreciated. FYI, in the photo from France right after WWI in 1919 of the 29th Div, the gentleman in front center sitting directly behind the sign identifying the unit as Co. H, 115th Inf is my grandfather. He is 2nd Lt. Patrick Regan. If you check out his story, you will find that was awarded the MOH. I had never seen this photo before. Thank you for posting it. I would like to use one of your photos in a not-for-profit article I’m writing on the 758th Tank Bn. Please advise me of whether or not this can be done. Which shot are you interested in? Thanks. I will give you credit in the article. If u want to check out a website, look for asmic.org – that’s who I write for and I edit The Trading Post. BTW – the photo in the series showing the 82nd Abn troopers and the WAC? trying to use a bazooka? is amusing. I just noted that in your WW II individual portraits, you have a black GI incorrectly ID’d to the 100th Infantry Div. He was in the 99th, one of the Volunteer Infantry Replacements (VIRs). Black GIs volunteered in high numbers to fill in as infantry replacements, and usually formed the “5th Platoon” with white units. I take it that it’s a no to using the pic to illustrate my article. Please feel free to use the photo with a credit line. Could you please email it to me without the watermark? My father was a pilot in VMF(N) 542. original squadron I have tried posting, or comment would like to contribute to your blog / pictures / and other material goes unanswered? Thank you. I’d like a copy of the Bellerose B-18 Bolo crash. Several of us are writing a book on the history of Bellerose (both Queens and Nassau sides.) Can you help us with this request? Sure thing. The only stipulation is that I always ask for a copy of the book once it comes out. Glad to help! Will this be an Arcadia publishing book? We’d love to send you a copy of the book. No, this will not be an Arcadia book, but will be privately published. The photo of the two damaged houses is the one we’re interested in and haven’t seen anything like it anywhere else. Also provide exactly how you want the photo credited. Thanks. Sounds like a deal. Give me a few days to dig out the original from my storage space and scan it. Glad to help. Were you able to find the Bellerose photo? Although the 50-minute documentary is in Chinese, you still can tell what it says through the videos and photos we dug out from National Archive. Now I’ve finished writing the script of the 2nd episode. It is about their lives on Koje-do and Cheju-do and Pusan. If you can look through your slides and find something for me, it would be great! They don’t have to come from those you purchased from the Ambassador. Anything will do. So you still have those slides you purchased, do you? If so, I will be willing to go out to where you are and take a look. We are a federal agency, and I do need to have the trip approved. So would you please send some photos showing those Chinese to me through the email? Where do you live? Would love to hear more! I apologize for the late response to your message of 12/9/15. I’ve been away from my blog and came back to a flurry of messages. I have many more slides of Walter and can certainly send some shots along. Would love to hear some of his experiences if you have any. Very exciting! Just discovered your interesting blog. 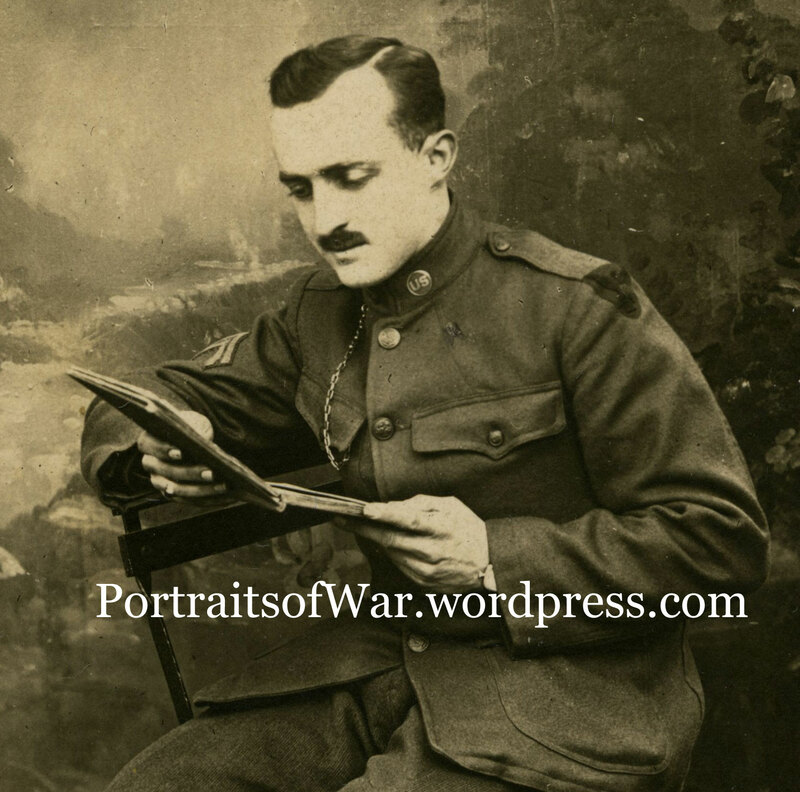 I am researching my grandfather’s service in WWI. The only record I have of his time is the application when he died in 1956 for a veteran tombstone and photos of the tombstone. According to that info, he was with the 32nd Division. My problem is the form shows his discharge date as 1 Feb. 1918. Which would indicate that he saw no actual battles with the 32nd, since they didn’t engage the enemy in France until 5 Feb. 1918. This doesn’t jive with family lore of his being injured in France. His military records were destroyed in the 1973 fire so I have no way of knowing if the discharge date of 1918 is in error and should have been 1919. If you have any ideas on direction for my research, I’d greatly appreciate it. Thanks loads. I do! I will email you directly. DURING THE KOREAN WAR HE WAS ASSIGNED TO THAT CONFLICT BUT THE ARMY HAS VERY LIMITED INFORMATION- ANYONE SERVE IN KOREA WITH HIM? OR HAVE INFO. I have just found my grandfather’s helmet from WWI. His name is Walter Smith Davidson Sr. All I have ever heard was that he was a conductor on a train that took supplies to the front lines and returned with dead and wounded. This was in France. He grew up in the Tennessee/Virginia area. He was a conductor for the Santa Fe out of Temple, Texas for many years. The information on the helmet is as follows: Rolling 31 ENGR’s Anjou Division World War 1914-18. Vende E Division Also, ETAT and P&O There are some pictures painted on also, and som lettering which is no longer legible. I would be interested in information and/or pictures you may have. Or, could you direct me to a site with information? Wow – very cool! Could you send a shot of the helmet? I may have some resources to help you. Trying to find the artist on a portrait of my father during WWII. I think I see the “Vansigaul” in the corner of the portrait. Can anyone help me with information? Can you send a shot of the signature? Contact us — We want to interview you for our podcast & newsletter.